this occurring, it is sensible to select products and sealing systems that will ensure long-term effectiveness. 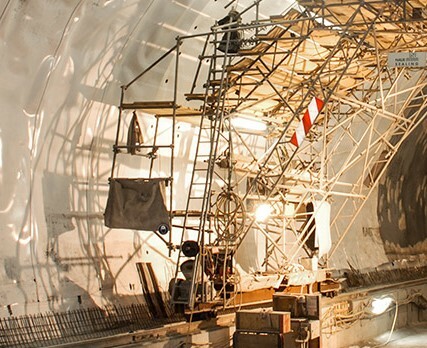 Carbofol® geomembranes for tunnel construction Geosynthetic materials manufactured from polyethylene (PE), which is highly resistant to chemicals and ecologically safe to the environment, meet highest requirements. Carbofol® tunnel geomembranes consist of PE-VLD (polyethylene – very low density) or PELLD (polyethylene – linear low density). 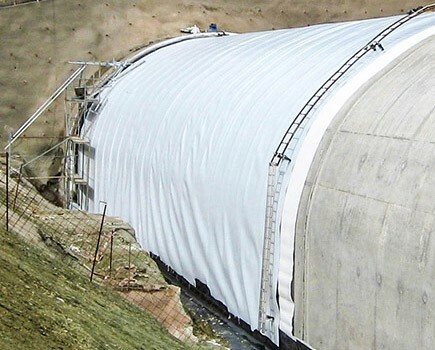 Due to the careful resin selection, Carbofol® tunnel geomembranes are highly flexible and free from plasticizer. 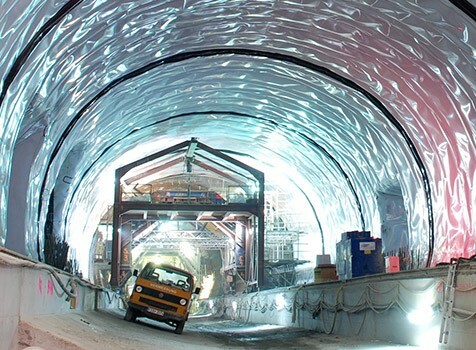 The selection of materials depends mainly on the expected service life of the tunnel and the composition of the surrounding mountain water and ground water. 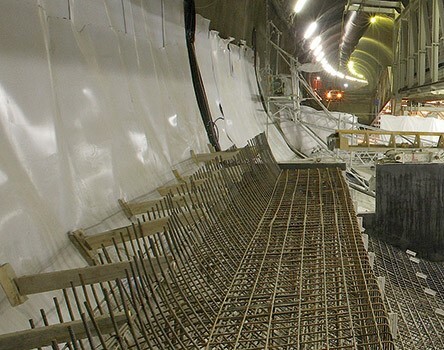 The sealing elements should be flexible enough that when the concrete inner shell is being poured, it adjusts over the entire surface of the sealing carrier layer. The stresses resulting from the construction process and operation must be absorbed without any exceptations. National requirements for the geomembrane must be taken into account and it should be possible to process the material in a safe and sensible manner. For more information please refer to the Technical Documents located on the right.